You’ll also receive a complimentary subscription to The eMentorCoach News, our monthly newsletter, and can opt out at any time. Your privacy and email address are safe with us. 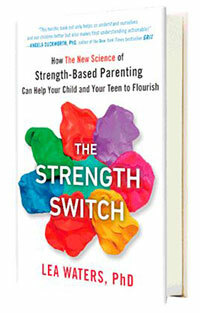 Lea Waters, PhD, author of The Strength Switch: How The New Science of Strength-Based Parenting Can Help Your Child and Your Teen to Flourish, holds the Gerry Higgins Chair in Positive Psychology at the University of Melbourne. Lea serves as President of the International Positive Psychology Association and is Founding Director of the Positive Psychology Centre at the University of Melbourne. She is also a psychologist, researcher, speaker and author who specializes in positive education, positive parenting, and positive organizations. She holds affiliate positions with Cambridge University and University of Michigan and is the Ambassador for the Positive Education Schools Association. 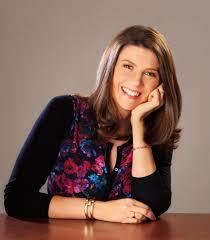 She has published close to 100 scientific articles and book chapters. In 2015, she was listed as one of Australia’s Top 100 Women of Influence by the Financial Review and Westpac Bank. Lea is a registered psychologist with AHPRA and has been a member of the Australian psychological Society for 24 years. Lea is a highly regarded speaker and has received invitations to be the Key Note speaker at conferences across the world including the International Positive Educations World Congress, the International Positive Psychology Associations World Congress, the International Conference on the Science of Happiness, the Canadian Positive Psychology Associations National Conference, the Mexican National Conference on Happiness and the New Zealand Positive Psychology Associations National Conference. A gifted teacher and facilitator, Lea has been awarded International and National Teaching Awards including the Management Educator of the Year (2004) by the Australian and New Zealand Academy of Management and two National Teaching Excellence Awards from the Australian Government (2008, 2011). Her Positive Education program, called Positive Detective, is being used in schools in United States, Canada, United Kingdom, Mexico, Finland, Ghana, Singapore, China, Hong Kong, Indonesia, Australia, and New Zealand. Her Visible Wellbeing initiative is being run in schools across Western Australia, South Australia, New South Wales, Tasmania, Queensland and Victoria in both the State and Independent Education systems. Lea’s recent research sits at the intersection between positive organizational scholarship and educational psychology with a focus on how to create schools as positive institutions. Her focus is both at the student-level and staff-level and she researches the applications of positive psychology in classrooms, staff rooms, and school-wide cultural practices. At the student level, she is calling for schools to consider that curriculum which builds student character and well-being is of equal importance to curriculum focusing on academic achievement. She has researched mindfulness in schools together with examining the effects of positive education interventions on student hope, optimism, and resilience. She has also called for a greater focus on staff wellbeing and cultural virtues in schools. At the staff level, she has applied Cameron’s Organizational Virtues model as well as Cooperider’s Appreciative Inquiry technique to examine the factors that build a positive institutional culture in schools. 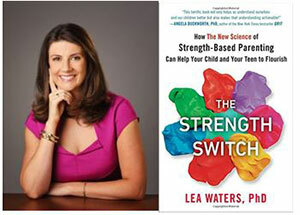 In The Strength Switch, Lea Waters shows us how to unlock our children’s potential by helping them build their strengths. This game-changing book shows us the extraordinary results of focusing on our children’s strengths rather than always trying to correct their weaknesses. Most parents struggle with this shift because they suffer from a negativity bias, thanks to evolutionary development, giving them “strengths-blindness.” By showing us how to throw the “strengths switch,” Lea Lea demonstrates how we can not only help our children build resilience, optimism, and achievement but we can also help inoculate them against today’s pandemic of depression and anxiety. As a strengths-based scientist for more than twenty years, ten of them spent focusing on strengths-based parenting, Lea has seen how this approach enhances self-esteem and energy in both children and teenagers. Yet more on the plus side: parents find it a particularly exciting and rewarding way to raise children. With many suggestions for specific ways to interact with your kids, Lea demonstrates how to discover strengths and talents in our children, how to use positive emotions as a resource, how to build strong brains, and even how to deal with problem behaviors and talk about difficult situations and emotions. As revolutionary yet simple as Mindset and Grit, The Strength Switch will show parents how a small shift can yield enormous results. A wellbeing and positive education program for schools. It encourages students to find the good in their world and share it with others to increase their own happiness and those of others.